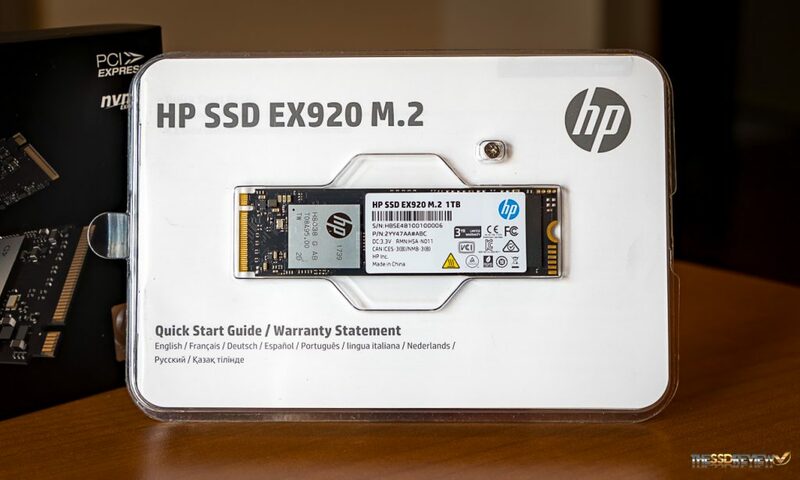 High performance, low power, increased system responsiveness, high reliability, small form factor, minimum weight, enhanced ruggedness along with high data integrity and security; these are the selling points made by HP with respect to their newest HP EX920 M.2 PCIe 3.0 x4 NVMe SSD. As much as this description might fit any of the latest gen M.2 SSD family, HP has built a product that we believe is going to do very well in the SSD industry, a product that very well might raise more than a few eyebrows. The HP SSD EX920 M.2 SSD is a PCIe Gen 3 x 4 2280 (80mm) form factor NVMe SSD compatible with the latest NVMe 1.3 protocol. 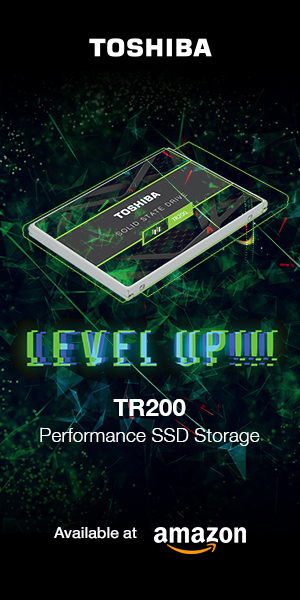 It will be available in 256GB, 512GB and 1TB capacity points, and throughput is rated at 3200MB/s read and 1800MB/s write, the write performance dropping back to 1600MB/s for the 512GB and 1200MB/s for the 256GB storage point. IOPS is rated at 350K/250K read and write for the 1TB model which again is a bit lower for the lesser capacities. 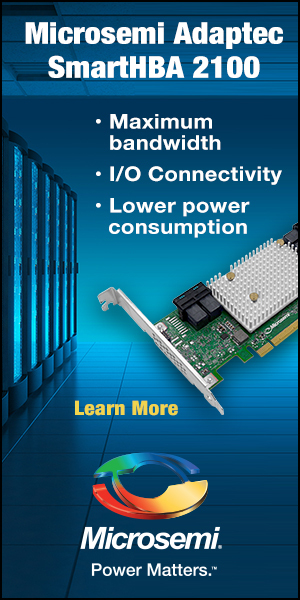 It is rated at 6.23W for active power and 730mW for Idle and comes with a 3-year limited warranty. Its exterior packaging is cardboard with attractive branding and the SSD inside is contained within a two piece clear plastic case that also contains the devices paperwork. 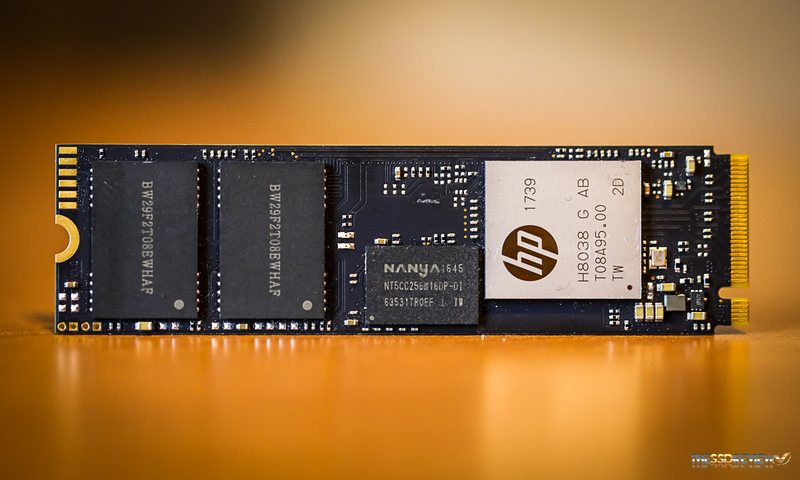 HP has established an MSRP of $109.99 for the 256GB, $199.99 for the 512GB and $369.99 for the 1TB version and I might check Amazon quickly as this SSD is sure to be the hottest thing available for that price point. 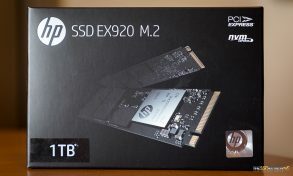 There is only one other that even comes close to this price point and its performance just doesn’t match up. 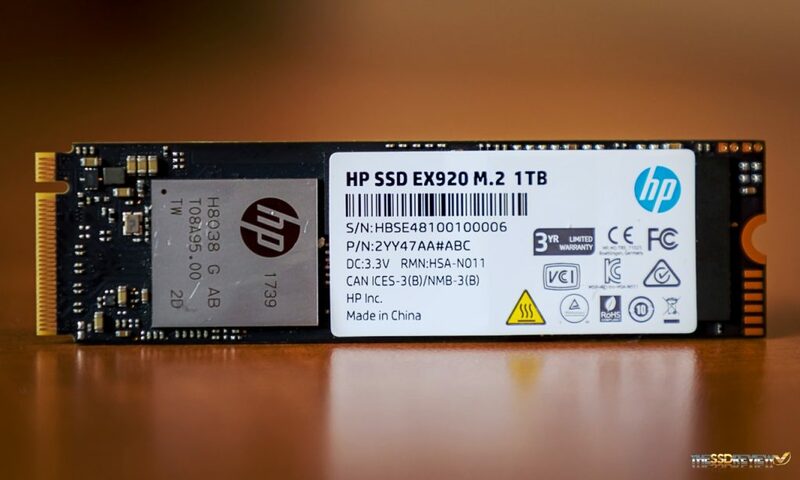 The HP EX920 NVMe SSD contains the Silicon Motion SM2262 8-channel controller, the same that we saw recently in our Intel 760P report, minus the custom Intel firmware and plus the custom HP firmware. 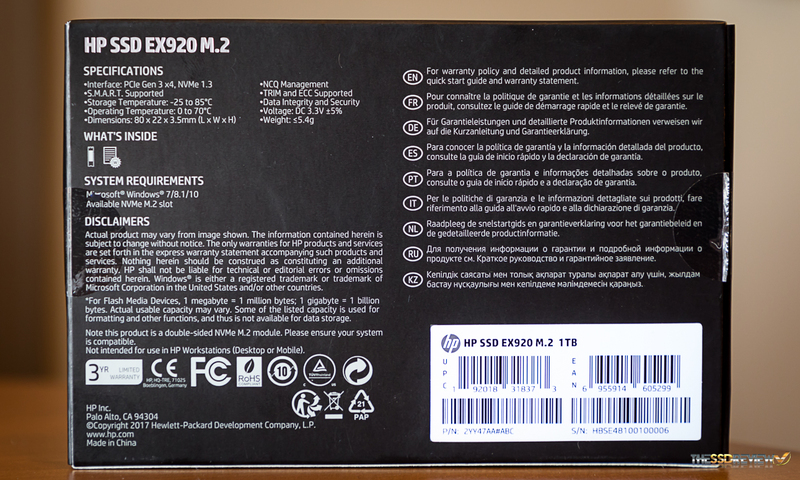 The controller is covered with HP branding and relabeled the HP H8038 controller. 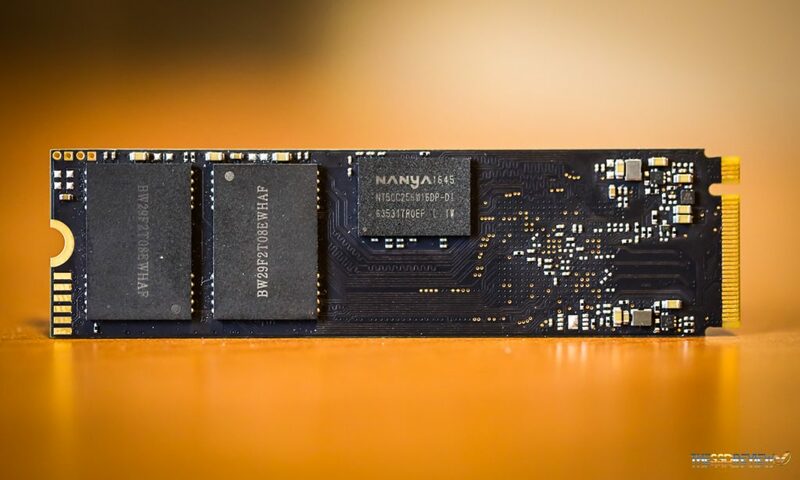 The two reports might actually be an interesting comparison as Intel relies on their own flash while Micron theirs, the flash itself coming from the same foundry before each company added its own ‘secret sauce’.